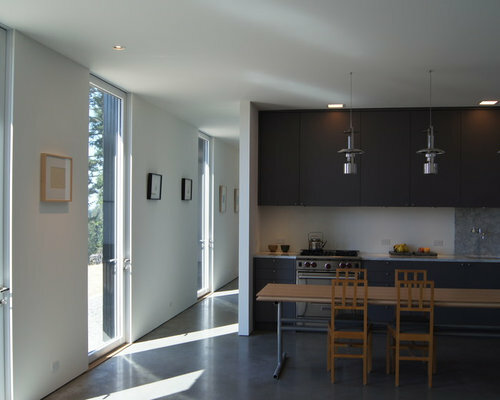 What makes this project truly special is the integration of modern detailing, advanced sustainable technologies, and minimal forms while still creating an inviting and comfortable space. 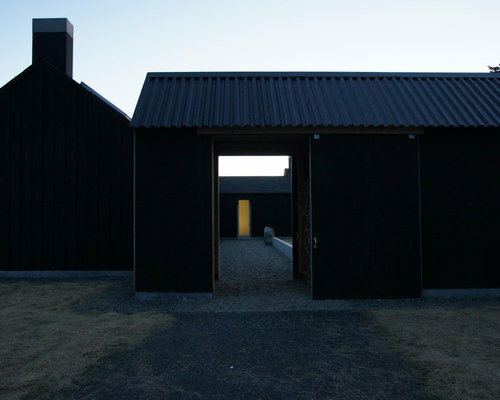 Even better, compared to other similar homes, this house managed to do it without breaking the bank. 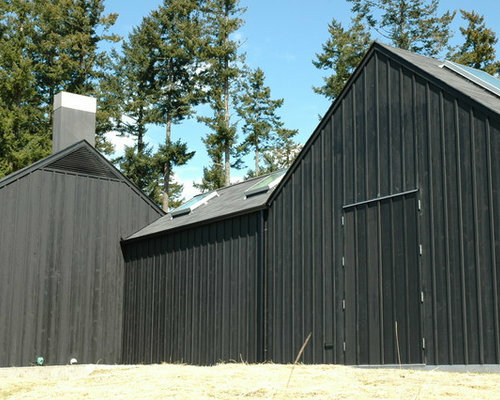 Minimalist home and studio with stained cedar board and batten siding, gable roof, no eaves, and aluminum chimney cap. 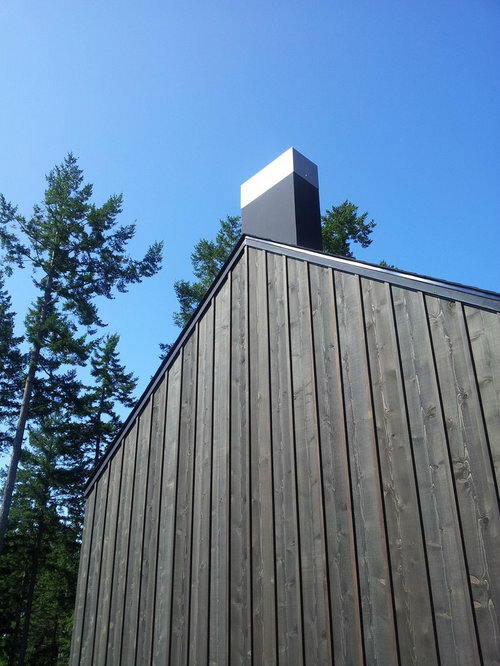 Modern, minimalist cabin with board and batten siding, custom steel chimney caps. 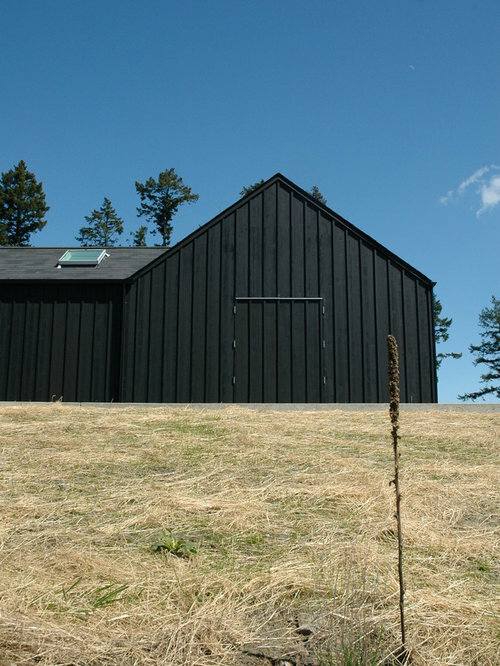 Modern, minimalist cabin with painted black board and batten siding. 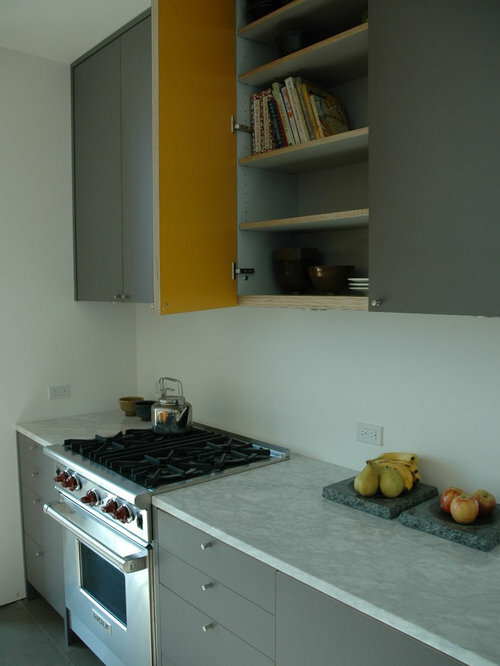 Grey laminate apple ply cabinets with yellow interiors and marble countertops. 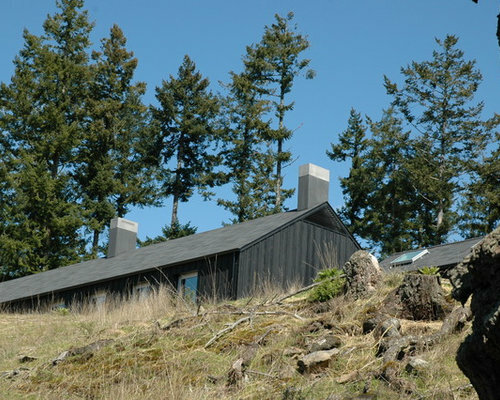 Modern, minimalist cabin with painted black board and batten siding and clear aluminum windows. 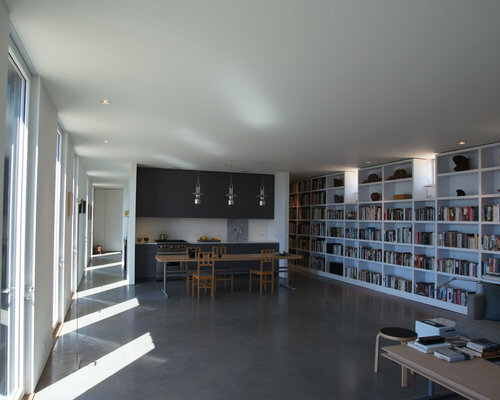 Minimalist inteiror with grey laminate cabinets, concrete floors, and oversized aluminum doors. 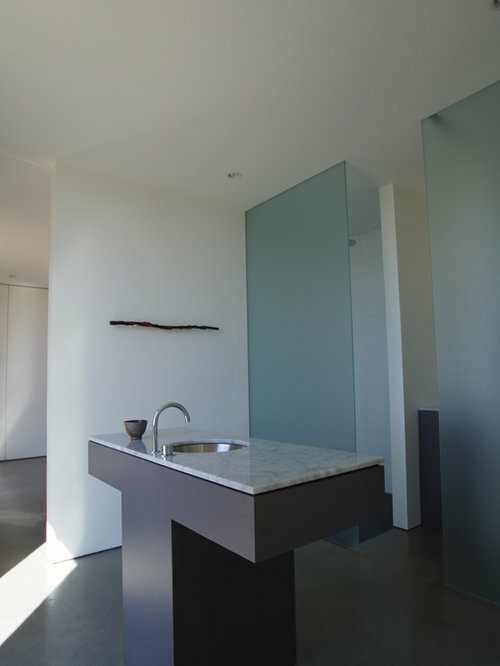 Freestanding grey bathroom cabinet with marble countertop. 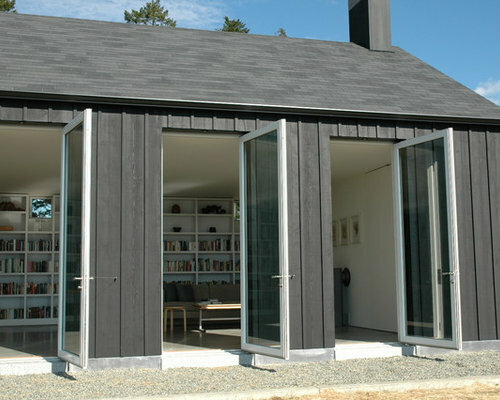 Glass dividers separate the shower area from the sink area. 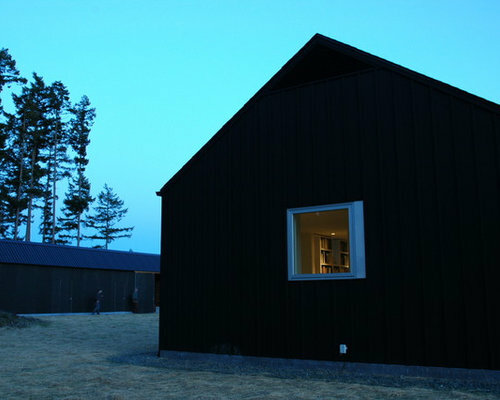 Modern, minimalist cabin with painted black board and batten siding and clear aluminum windows. 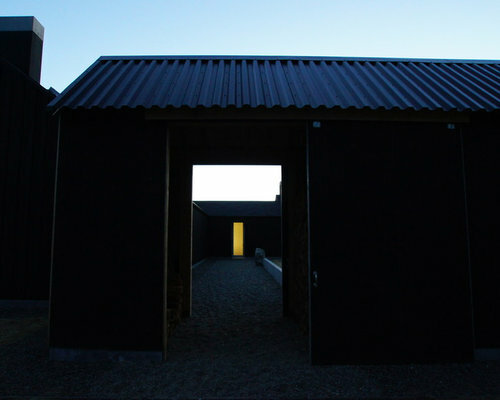 Corrugated metal roof at entry.